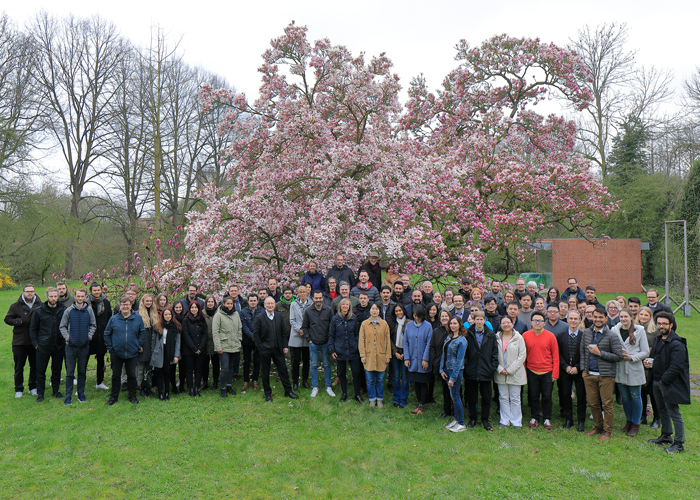 From 12th April to 15th May 2019, the AIT-ArchitekturSalon in Hamburg will be hosting the „Konzept+Atmosphäre“ exhibition which originates from the Baukunstarchiv NRW in Dortmund. Using photographs and models, the exhibition will display selected works by Gerber Architekten from over five decades which, with their differing conceptual approaches, have produced a wide range of tangible architectural atmospheres. A filmed interview addresses the question of how architecture can create atmosphere and how a building can become a multifaceted place of experience. 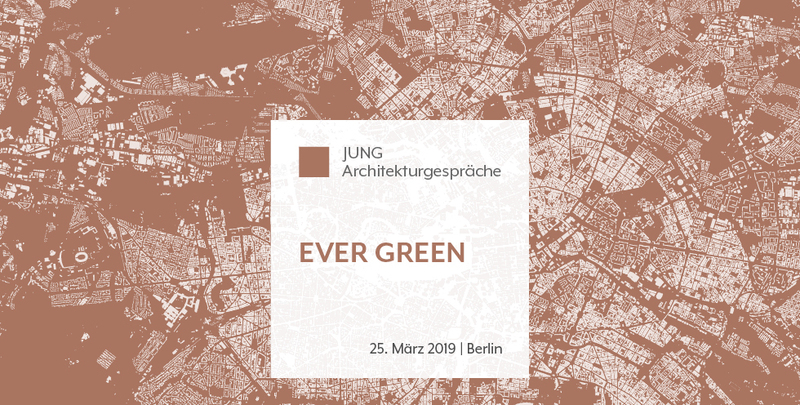 The vernissage will take place on Thursday, 11th April 2019 at the AIT-ArchitekturSalon (Bei den Mühren 70 in 20457 Hamburg) and will be officially opened at 19:30 with a welcoming speech from Kristina Bacht (AIT-ArchitekturSalon). This will be followed by the highlight of the evening – a “Gerber-Talk” panel discussion involving Professor Eckhard Gerber with Dipl.-Ing. Jens Bentfeld, Dipl.-Ing. Hannes Beinhoff and Dipl.-Ing. Tim C. Kraus, the management team of the Hamburg office of Gerber Architekten, moderated by the journalist and writer, Dr. Martin Tschechne. Architecture competitions have been of significant importance in the corporate history of Gerber Architekten. Professor Eckhard Gerber is giving a speech about the topic “Wettbewerb und Architektur” at the Chamäleon Theater (Rosenthaler Straße 40/41) on 25th March at 19.00 hrs. 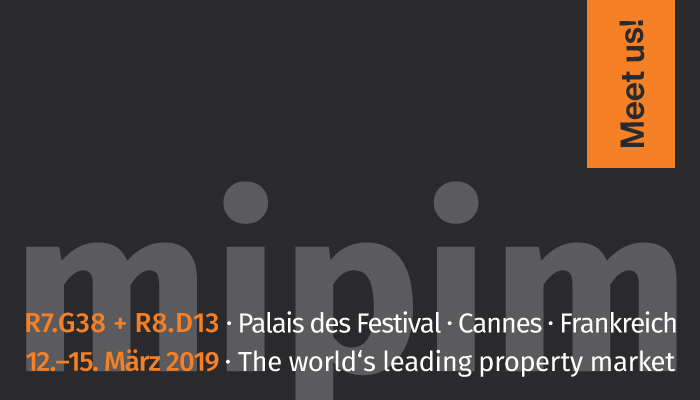 The world-wide leading property fair mipim will be held for the 30th time from 12th to 15th March in the Palais des Festivals in Cannes, France. Gerber Architekten are taking part again this year and will be presented the office complex currently under construction in Jinan, China at the German Pavilion – Riviera Hall (R7.G38/19), which is co-founded by the German Federal Ministry for Economic Affairs and Energy (BMWi). Furthermore, at the stand of NRW.INVEST Germany (R8.D13), in cooperation with the Metropole Ruhr, the planned student residence at Bochum’s main railway station will be presented. You would like to meet us personally at mipim? We would be happy to arrange an appointment with you in advance at one of the two stands. Please contact us by telephone at +49 231 9065 0 or by e-mail at kontakt@gerberarchitekten.de. 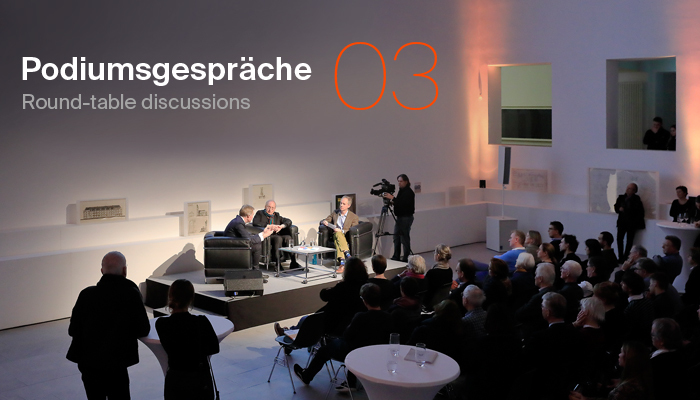 As part of the exhibition Konzept+Atmosphäre at the new Baukunstarchiv NRW in Dortmund, the third and last public round-table discussion will take place on 20th February 2019. After discussions with Professor Marg about the parallels in one’s life and finding the way to architecture as well as the complex aspects of building culture with Reiner Nagel, Professor Eckhard Gerber will conclude with Professor Hinnerk Wehberg, founder of WES LandschaftsArchitektur, on the subject of “Landscape+Architecture”. Take the chance to ask your personal questions and make new contacts after the talk at a cosy get-together with pretzel, wine and beer. 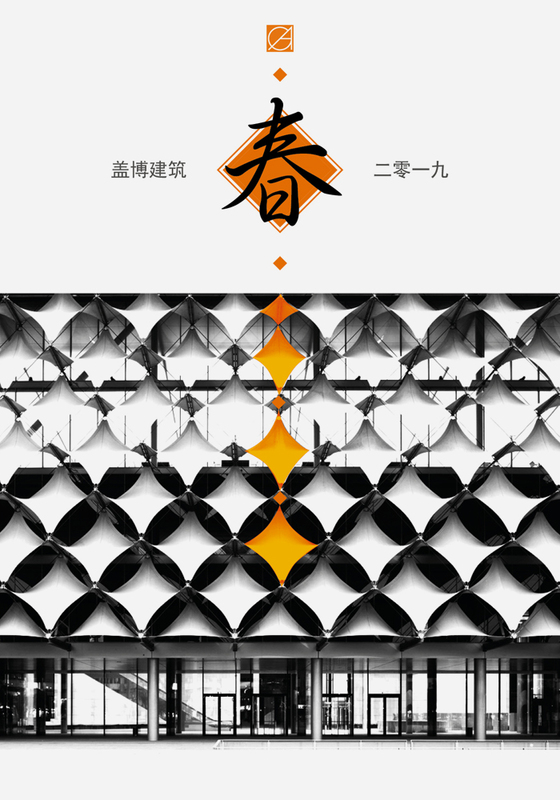 For the holidays and the “Chinese New Year of the Earth Pig” Gerber Architekten wish you and your families happiness, prosperity and longevity. We thank you for the successful collaboration last year and look forward to the coming year in continuing the work with you on ongoing projects as well as new ones. Gerber Architekten was awarded third prize in the competition for the King Salman Park in Riyadh. The design was based on the idea of a star-shaped green oasis, connecting the centre of Riyadh with the surrounding areas. The boundary of the park was given careful attention to achieve a close intermeshing between the former airport site with the existing urban structure. The different garden areas combine together to form one of the largest inner-city parks in the world. 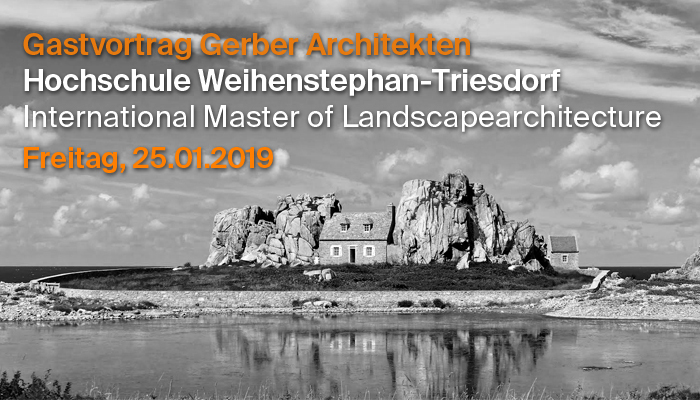 On January 25, 2019, Tim C. Kraus (Design Director Landscape Architecture, Gerber Architekten) will give a guest lecture at the Weihenstephan-Triesdorf University of Applied Sciences for the master’s course IMLA (International Master of Landscape Architecture) together with two other offices. The lecture will focus on working methods and organization in a landscape architecture office. After the presentation there will be an all-day workshop with the students.